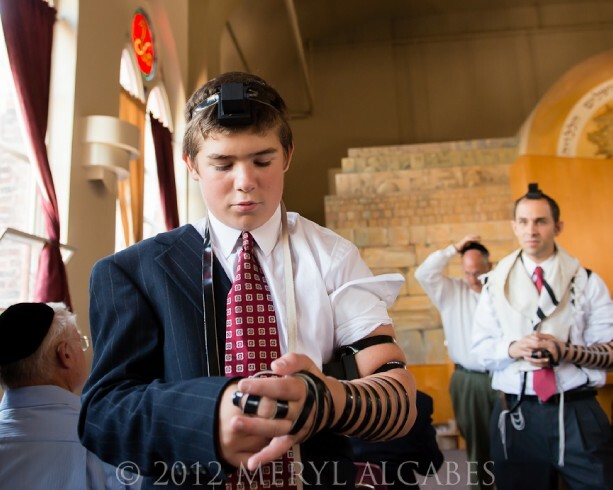 Posts with tag: "bar mitzvah, SHA, Seattle, event, family, simcha"
I recently photographed Noah's delightful bar mitzvah at SHA. When a bar mitzvah is held on a Saturday, the ceremony can't be photographed. But Noah's was held on a Thursday, so I was able to get images of him putting on tefillin and being called up to the Torah for the first time. Noah seemed relaxed and confident and the atmosphere was festive. The school playground was transformed into a colorful reception venue. It was a fun, out of the ordinary Seattle bar mitzvah. Mazal Tov, Noah!